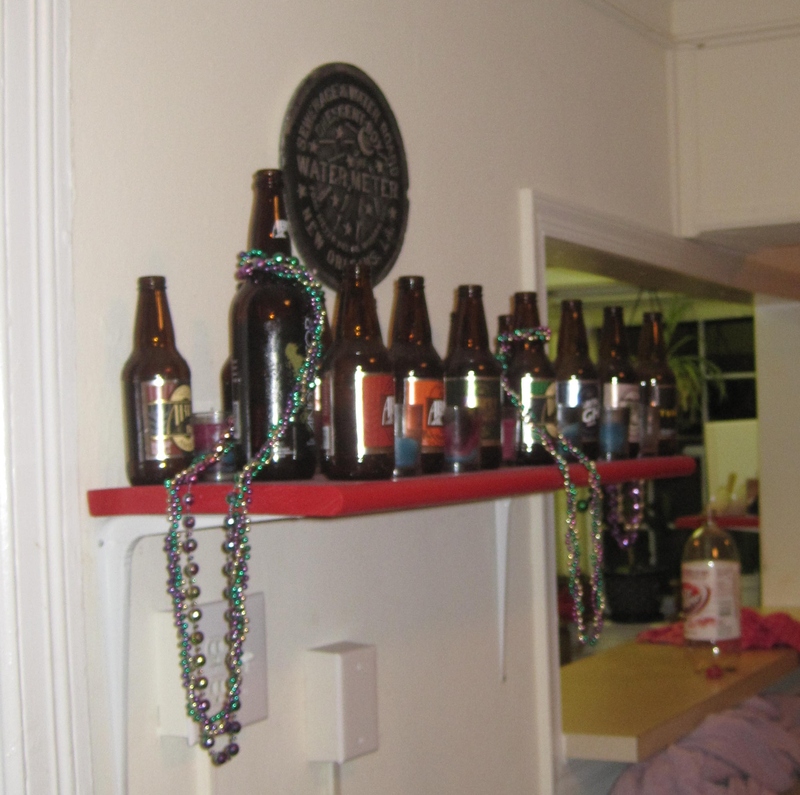 The shrine to Abita that I had in my DC apartment. 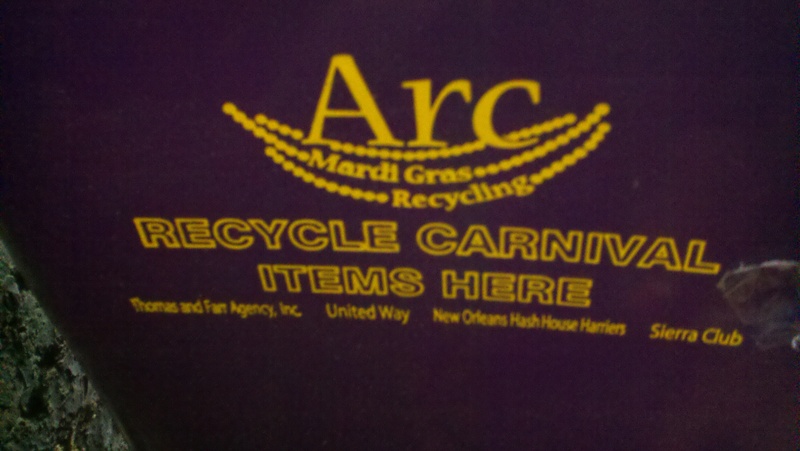 This May, recycling finally returned to post-Katrina New Orleans. You can recycle paper, plastic, metals and cardboard. But not glass. * Recycling is costly, and glass hasn’t proven economically viable. It’s hard not to cringe when contemplating all the glass that must be thrown out around here, considering how much alcohol is consumed in this city. Abita, a local brewery (and by far the most pervasive beer in the city), comes exclusively in glass bottles. The sublease I’m staying at until August cannot accommodate recycling; the subleaser says that the city has strange rules about condominium recycling. Accordingly, my boyfriend and I have been dropping off our recycling at Whole Foods. 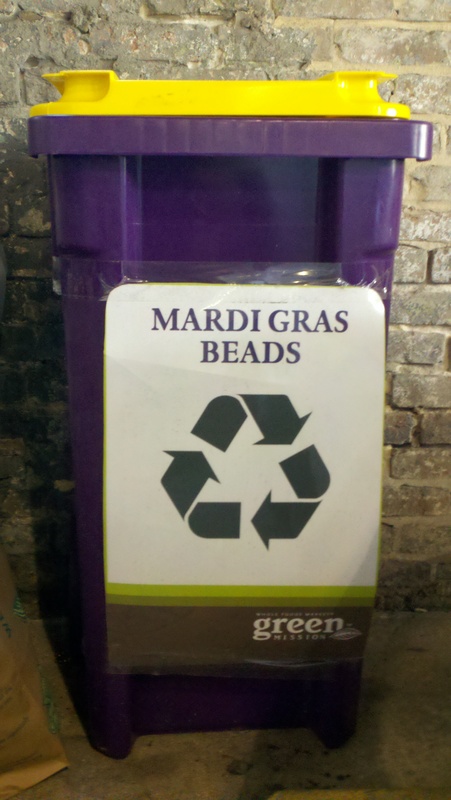 On our first trip there we discovered a bin for recycling Mardi Gras beads. This seems very New Orleanian. The city doesn’t provide a service found in most metropolitan areas, but understands the necessity to wash and resell the bartering commodity of Mardi Gras. It’s these little aspects of the city that make me roll my eyes… and then smile. It’s a backwards place, but there is charm in the aspects of the life only found here. There are some local companies that are thinking smart about recycling. 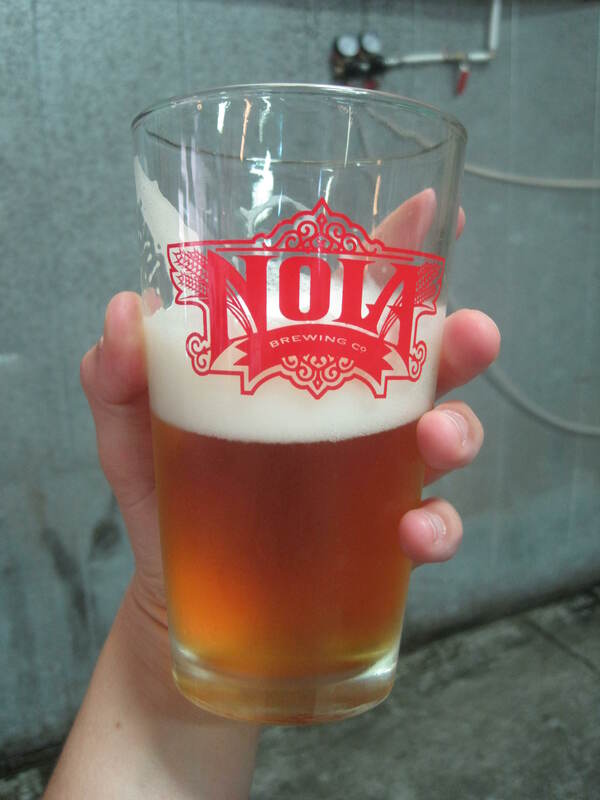 NOLA Brewery recently announced that it will begin selling its beer in cans! On Friday, we went to the NOLA brewery for their weekly tour and our tour guide said the company purposefully chose cans because they can be recycled in the city. He acknowledged that people look down upon canned beer, but advised that all beer (whether from a glass or bottle) tastes best when poured into a pint. The beer cans should be on shelves around the city in the 4-6 months. In a city where Abita is king, NOLA Brewery has already made their presence known. They started in 2009 with two brews, NOLA Blonde and NOLA Brown, and have added two more year-round brews and four seasonals. Many of these beers are available in bars and restaurants throughout the city. Our tour guide said that the company hopes to saturate the local and regional markets before they can begin to establish a national presence. 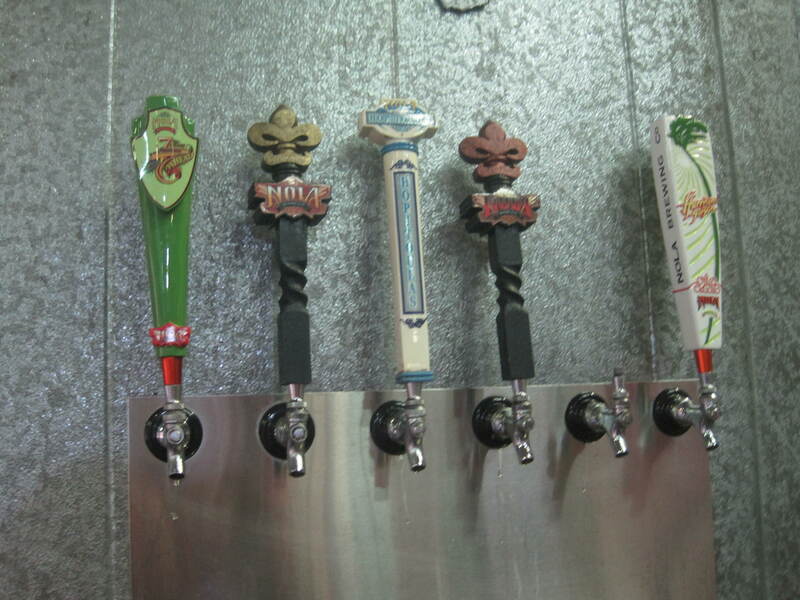 Although I love those Abita bottles (see: shrine picture above), maybe I’ll switch to Abita on tap. *You can drop off your glass for recycling at Target and at NOLA Glass. 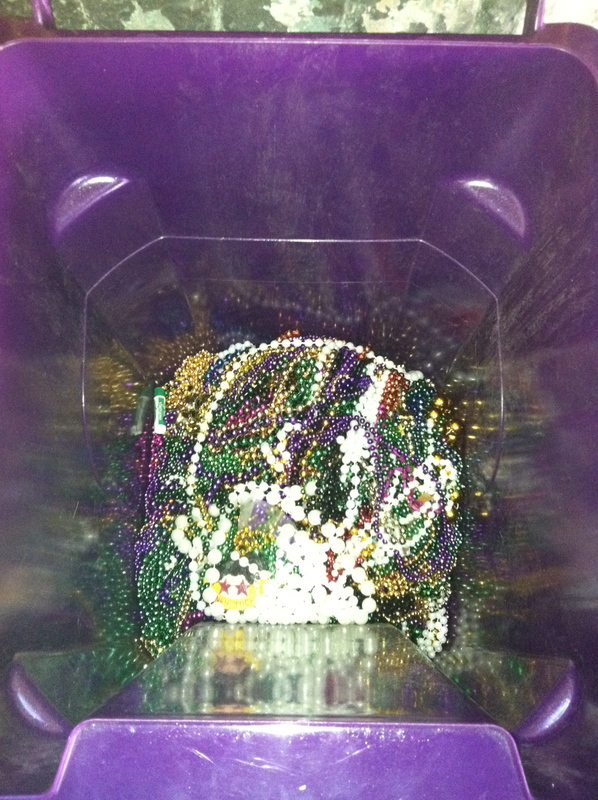 Hi, I loved your post…esp the pix of the Mardi Gras bead recycling! I’m so glad you found the blog. Hope you keep reading! I spoke with NOLA Glass Works at an event a few months ago, and they said that the only place they knew of to recycle glass in Greater New Orleans is the Metairie Whole Foods. However, there is a glass studio in Mid-City, on Conti, next to the Rouses. http://www.nocgi.org/ I biked by it yesterday and wondered if THEY took glass. Perhaps give them a call?